Levent Onural was born in Izmir, Turkey in 1957. He got his junior high-school education at Izmir Koleji ("Izmir College"; now called BAL), and his senior high-school education at Ankara Fen Lisesi ("Ankara Science High-School"). He received the B.S. and M.S. degrees in electrical engineering from Middle East Technical University , Ankara, Turkey, in 1979 and 1981, respectively, and the Ph.D. degree in electrical and computer engineering from State University of New York at Buffalo in 1985. He was a Fulbright scholar between 1981 and 1985. After a Research Assistant Professor position at the Electrical and Computer Engineering Department of State University of New York at Buffalo, he joined the Electrical and Electronics Engineering Department of Bilkent University, Ankara, Turkey, where he is a Professor at present. He served Bilkent University as the Dean of Engineering, and as the Director of Graduate School of Engineering and Science between July 2010 and August 2016. 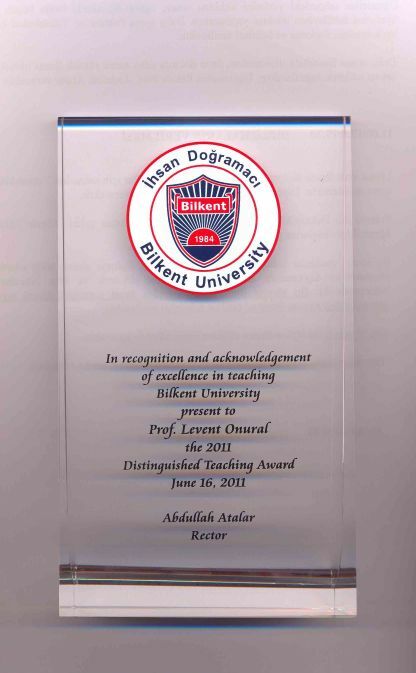 Dr. Onural received a TUBITAK Incentive Award in 1995, an IEEE Third Millenium Medal in 2000, the IEEE Haraden Pratt Award in 2011 (IEEE news release, Levent Onural's Award Speech Video), the EURASIP Group Technical Achievement Award in 2011, and Bilkent University Distinguished Teacher Award in 2011. His current research interests are in the areas of image and video processing with emphasis on various aspects of 3DTV. His research focus is on signal processing aspects of optical wave propagation, diffraction and holography with applications to holographic 3DTV. He has published about 250 papers and received about 4000 citations. (Publications). One of his early papers is among the top cited 50 papers ever published in Optical Engineering. In 2006 and 2007, two papers that Onural co-authored ranked among the top cited papers published in IEEE Transactions on CSVT; one of his papers published in Journal of Display Technology is among the top cited papers of that journal in April 2017. He was a member of the COST211ter Project Management Committee and the director of the Turkish COST211 team between 1991-1997. He and his team have contributed to COST211 Analysis Model. COST211ter project was a research collaboration activity of European Union; more information can be found here. 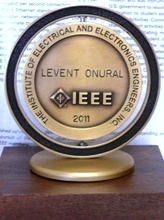 Levent Onural has a video object segmentation patent ( US 6,337,917 ) and a holographic 3D video display patent ( US 9,501,036 ). He was the Coordinator of EC funded 3DTV Project (2004-2008), and the Co-leader of 3D Immersive Interactive Media Cluster (formerly 3D Media Cluster) (2008-2011). He contributed to EC funded Real3D and 3DPHONE projects (2008-2011). He was invited as a keynote speaker to many prestigious conferences. Dr. Onural served as the vice-chair of COST Trans-Domain Panel (2013-2014). 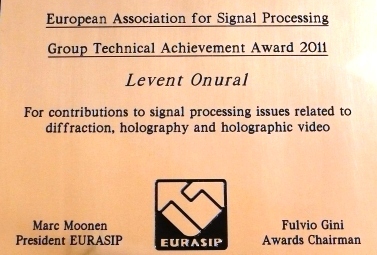 Dr. Onural is a fellow of IEEE (for his contributions to signal processing for optics, diffraction and holography). He was the organizer and the first chairman (1990-1991) of IEEE Turkey Section; and the chairman (1994-1996) of the IEEE Circuits and Systems Society Turkey Chapter. He served as the vice-chair of IEEE Region 8 (Europe, Africa and Middle East(1995-1998), and the vice-chair of the Regional Activities Board (RAB) (now called Member and Geographic Acitivies (MGA) Board) of IEEE (1998-1999) -in charge of student activities; he also served as the chair of the IEEE RAB Student Activities Committee (1998-1999). 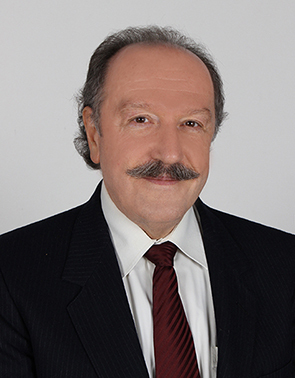 Dr. Onural was a general co-chair of IEEE 2000 International Conference on Acoustics Speech and Signal Processing ICASSP'2000; he also served as the general co-chair of the annual conference 3DTV-CON in 2007, 2009-2016. 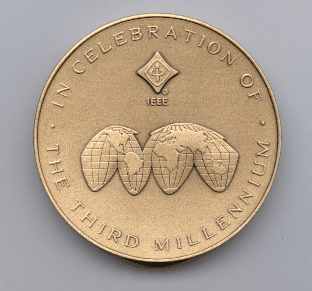 He was the Director of IEEE Region 8 (Europe, Africa and Middle East) (2001-2002) and a member of IEEE Board of Directors, which is the highest board of IEEE, between 2001-2003. 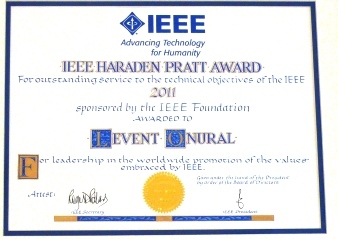 He was a member of IEEE Assembly in 2001-2002. He served as the 2003 Secretary of IEEE, and he was a member of IEEE Executive Committee (now called IEEE Governance Committee) in 2003. 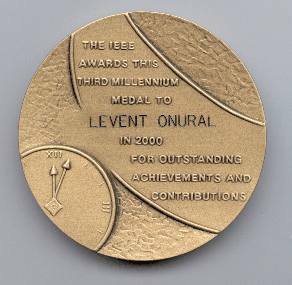 Levent Onural was nominated by the IEEE Board of Directors to the position of 2005 IEEE President-elect (2006 IEEE President); he is the first person from outside of North America nominated for this position in 120 years of history of IEEE. 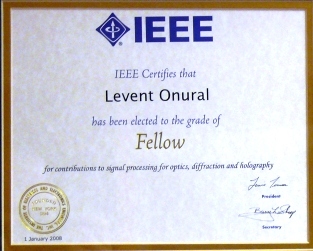 Levent Onural served as an associate editor of IEEE Transactions on Circuits and Systems for Video Technology (2002-2013). 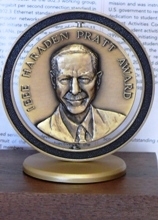 He is also a member of the Editorial Board of SPIE Reviews (2009-2012). He served as a guest editor in Special Issue on 3DTV: Capture, Transmission and Display (EURASIP Journal on Advances in Signal Processing, 2009); Special Section on 3DTV, Special Issue on Multiview Video Coding and 3DTV (IEEE Transactions on Circuits and Systems for Video Technology, 2007); ``Lasers: The First Fifty Years'' (Applied Optics,2010); ``Issue on Emerging Techniques in 3-D'', (IEEE J. of Selected Topics in Signal Processing, 2012); Feature Issue on Digital Holography and 3D Imaging (Optics Express, 2014). He is married to Canan, and father of Engin and Deniz. Engin has his own sushi restaurant, The Venue. He is a well known sushi chef in Palm Desert, CA, USA, and he is ranked as one of the "best chefs of America". Here is a recent interview . Here is a recent article about him. See more comments . Engin is one of the winners of the Palm Desert Chamber of Commerce service contest; here is a picture . His restaurant The Venue Sushi and Sake Lounge is voted as the "Best of the Best", sushi restaurant many times in a row. He is in the "40 Under Forty" list of Palm Springs Life in 2014. He made a show at Palm Desert Food Festival. Here is Engin on TV . Here is a photo of Engin and his friends while attending Palm Springs Film Festival 2017 gala party . Engin is about to open his second restaurant Sandfish by Engin Onural in Palm Springs in October 2017. Here is Engin telling his story; and here is some more . See Engin in a recent video.